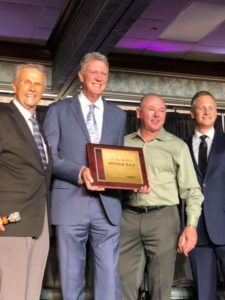 Pigeon Forge, Tenn. (January 28, 2019) – Coastal Medial Group and SGNScoops Magazine are pleased to announce that the 2019 Diamond Award Nominations are now open on the SGNScoops website. Everyone is invited to the website to enter the Nominations area and list their top ten favorite picks for each Diamond Award category. Vote HERE. SGNScoops, host of the Diamond Awards, is presenting the 2019 Diamond Awards on October 29, 2019 during the 8th Annual Creekside Gospel Music Convention in Pigeon Forge, Tenn. Many vocal performances and surprise guests will be included in the gala evening. Fans are encouraged to make their plans to attend today. Don’t forget to order your Creekside VIP pass today! There are a limited number of bracelets available, so please contact Rob today at 360.933.0741. This VIP bracelet will grant the wearer preferred seating at each concert including the 2019 Diamond Awards, special gifts and passes to backstage events, all for only $25. If you are interested in purchasing your $25 VIP ticket call Rob at 360 933 0741. Find out more about the 2019 Diamond awards by visiting the Creekside Gospel Music Convention Facebook page HERE.